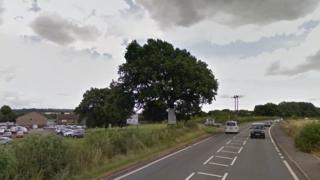 A man is to face a murder trial after a woman died in a head-on car crash. Kate Jaworski-Green, 33, from Huddersfield, died in hospital after the crash on Denby Dale Road, near Wakefield, on 27 January 2018. The driver of the other car, a man aged 23, was also injured. Jordan Howlett, 24, of Queen Elizabeth Drive, Normanton, appeared at Leeds Crown Court on Friday and was remanded in custody until trial on 2 October. Mr Howlett will next appear at Leeds Crown Court for a pre-trial hearing on 9 May.